NOURISHING MEAT AND HEAL ECOSYSTEMS BY MIMICKING THE COMPLEXITY OF NATURE. 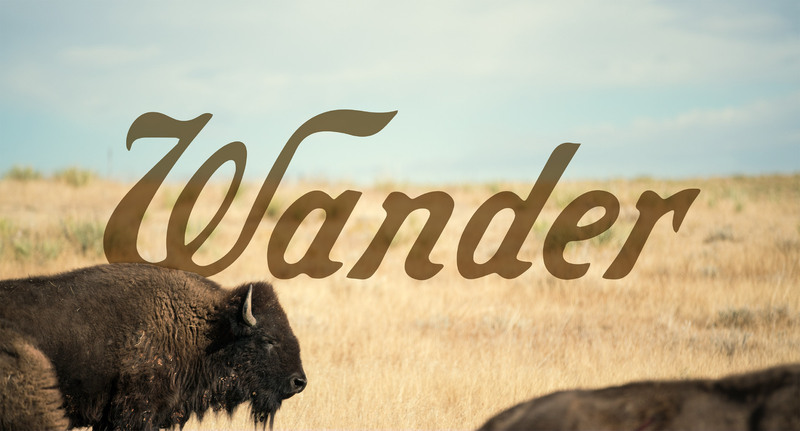 As our ranch name suggests, we believe that animals should have the ability to roam freely. We raise our livestock in a mixed species setting which mimics the biodiversity found in nature. By sharing pastures, each one of our animal species has a specific role that symbiotically supports the health of our land and benefits the overarching organism that we call ROAM Ranch. Our herds of bison, beef, and goats are pastured-raised, 100% grass fed, and free of added hormones and antibiotics. Our poultry animals (ducks, chickens, and turkeys) are all pasture-raised, have access to forage, and supplemented with organic, non-gmo grain. Our pork is heritage breed, pasture-raised with access to natural forage, and supplemented with an organic non-gmo feed. Most importantly, our animals are managed in a way that creates a net-positive return on the planet. We have an open door policy and encourage customers to visit us and see how regenerative agriculture can save our planet. Our bison is 100% grass fed and pasture raised. The animals freely roam the pastures and savanna areas of the ranch where they consume a diverse mix of native grasses, improved grasses, and hay. Due to their natural herding behaviors and instinctive ability to defend their young, our bison do a fantastic job of keeping predators (coyotes, foxes, and varmints) off our pastures. We manage the strength of our herd by breeding the strongest animals which are best adapted to the Central Texas ecosystem. Our breeding bulls are direct descendants from the last vestige of the great Southern Plains herd. Our beef is 100% grass fed and pasture raised. 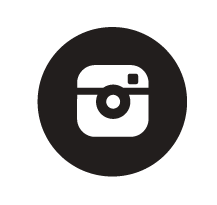 We raise a black angus breed that is optimized for our environment and thrives year round. The cows and bison at ROAM are a critical part of our planned grazing operation and managed in a way that aerates the soil, spreads fertility, and stimulates further grass growth. The hogs at ROAM Ranch are a mix of heritage breed berkshire, red wattle, and large black. These pigs have been raised for centuries due to their flavorful meat and resilient strength. Our hogs are pasture raised and roam freely in the post oak savannah portion of the ranch. The animals forage on acorns, roots, grass, and are supplemented with an organic and non-gmo grain feed. On the ranch, we promote our pigs natural instinct to root into the soil and constructively manage them to help us turn soil, and clear land from undesirable shrubs. The chickens at ROAM Ranch are a mixture of Freedom Rangers, Rhode Island Reds, and Cornish Game Hens. All our birds are pasture raised and free range. Chickens at ROAM have continuous access to grass, insects, and forbes. We supplement their diets with non-gmo and organic grain feed. We raise both layers and broilers (meat birds) on the ranch. Tasked with many roles on the farm, our chickens are used to control parasites that may effect other animals. Their natural scratching instinct effectively breaks down the parasitic lifecycle found in our pastures and keeps our other animals healthy. The turkey at ROAM Ranch are a mixture of heritage breed animals and Broad Breasted Bronze birds. Our turkeys are free range and pasture raised. As with all our animals, ROAM turkeys spend their day expressing their natural behaviors. These birds scratch the ground for insects, grass, and are supplemented with a non-gmo and organic grain mixture. We move our poultry animals daily to fresh pasture. Both chickens and turkeys are used to control undesirable insect populations, debug our orchards, and keep poisonous snakes off the property. The ducks at ROAM Ranch are a mixture of layers and meat birds. All ducks are pasture raised (alongside chickens and turkeys) and feed on grass, insects, and supplemental non-gmo and organic grain. Like the other poultry species on the ranch, our ducks are tasked with controlling undesirable insects, debugging our orchard, and fertilizing our pastures. Started by first generation farmers, Katie and Taylor's journey into ranching was based on a vision to positively impact large-scale agriculture through producing nourishing food that improves the lives of animals, enriches the health of consumers, and regenerates the land on which we depend. 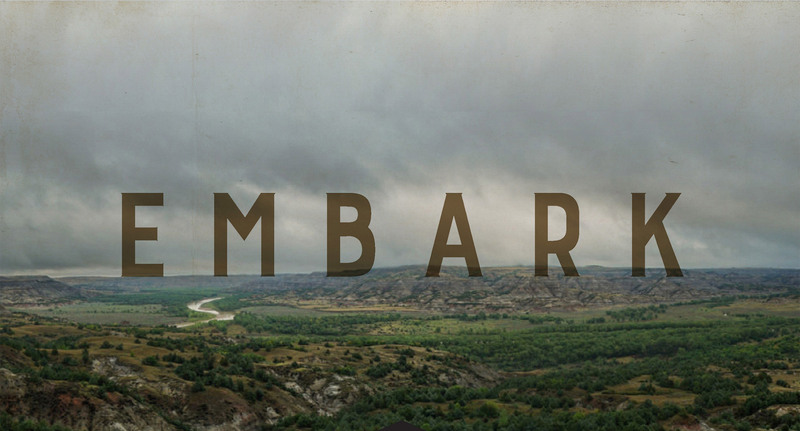 Like much of the world, this once-fertile region has been industrially farmed for the past 100 years. Through persistent tilling of soil, planting of monoculture row crops, and overgrazing, ROAM Ranch was not capable of producing food upon its purchase. Land in this condition is often deemed "unsalvageable" and in many circumstances further degenerates with rest- but we are going to prove otherwise. Through the land stewardship of Katie and Taylor, ROAM Ranch is currently amid a large-scale ecosystem restoration process in which livestock is used to replicate the patterns of native species. 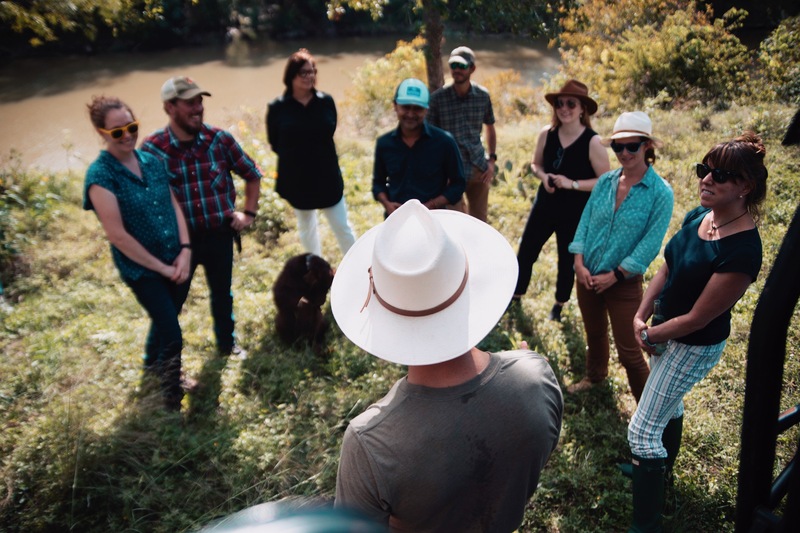 Inspired by leaders in the regenerative agriculture space, the ranch is operated in a holistic context that utilizes high intensity planned grazing methods. Emulating the biodiversity found in nature, ROAM Ranch is a multispecies operation in which the animals symbiotically support each other, increase the overall health of the land, and improve the resilience of the farm. We raise the finest grass fed and free range bison, beef, pork, chicken, and turkey year round. WORKING EVERYDAY TOWARDS REGENERATING OUR LAND AND CREATING NOURISHING FOOD, WE HOPE TO INSPIRE THE NEXT GENERATION OF YOUNG FARMERS. IN OUR JOURNEY, WE ARE PROVING THAT WHEN PROPERLY MANAGED, LIVESTOCK CAN RESTORE ECOSYSTEMS, HEAL SOIL, NOURISH CONSUMERS, REGENERATE RURAL ECONOMIES, AND INVIGORATE WILDLIFE HABITATS. THROUGH FARMING WE HOPE TO CREATE A MEANINGFUL IMPACT ON THE LIVES OF OTHERS, THE HEALTH OF CONSUMERS, AND THE ECOLOGICAL WEALTH OF OUR LANDS. Taylor is a Co-founder of ROAM Ranch as well as EPIC Provisions, the industry pioneering meat brand devoted to growing supply chains of regeneratively sourced animals on a global scale. EPIC's meteoric rise led to a full acquisition of the brand by General Mills in 2016 and has since allowed Taylor to accelerate his vision of large scale positive impact beyond imagination. Today, Taylor and his wife continue leading the EPIC mission while driving change in agriculture, big business, and accessibility to high quality meat. Hailing from the rugged Hill Country of Austin TX, Taylor's love of the outdoors is the stimulus for his passion and creativity. When not at the office, Taylor is often found trail running deep in the Barton Creek Greenbelt or looking for buffalo to befriend. Taylor is both a competitive runner, lover of Katie, and father to Scout. Katie is also a Co-Founder of ROAM Ranch, EPIC Provisions, and the multi-lifetime lover of Taylor. 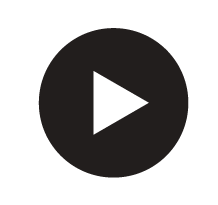 Katie's internal passion for winning has resulted in crushing through all barriers while leading one of the fastest growing natural foods companies in the world. While embracing a warrior spirit, Katie has pioneered the first ever "nose to tail" sourcing initiative for a consumer packaged goods brand, pushed for industry leading transparency initiatives, as well as popularized the value of regenerative agriculture and holistic land management with consumers. Katie actively drives collaboration and growth across industry, politics, and culture with a unique gift of instinct. When not dominating in the city, Katie is often found hiking in the woods, teaching young Scout how to become a champion, and looking for hawks to tame. Julia has always had a passion for food - where it comes from, how it's grown and how it impacts our bodies and our planet. For the past decade, she has been exploring concepts surrounding food production like permaculture, small scale farming, ranching and more recently, regenerative agriculture. Inspired to grow the local food movement in her city, she bought a grocery store in Alberta, Canada in 2014. Julia saw the opportunity to build a store that represented her values, supported local farmers and ranchers, and provided healthy and nutritious food to her community. Through her experience in this industry over the years, one thing has become quite clear: it's all about healthy land and soils. Julia is stoked to be part of the ROAM Ranch team and to bring her skills and passions Texas. Parachuting into the Texas Hill Country from his native Alberta, Canada, Cody Spencer and his wife Julia have come to Roam Ranch with the steadfast intention of taking this land to the next level. With an obsession for regenerating grasslands to their former glory using large herds of bison, Cody has found his ecological niche on the Pedernales River helping Katie & Taylor achieve their vision. Having cut his teeth on the wild Canadian prairies herding bison, mending fences, building corrals and running his bison meat company, Sweetgrass Bison, Cody's talents lend themselves well to reviving the lands of Roam Ranch. His passion for restoring native ecosystems spawned from early experiences hunting the wild creatures of the northern Great Plains and Rocky Mountains. In the search for the optimal way to return our grasslands to thriving ecosystems that support healthy people and animals alike, Cody found the Holistic Management framework. This has led to a breakthrough in how he manages land and business. 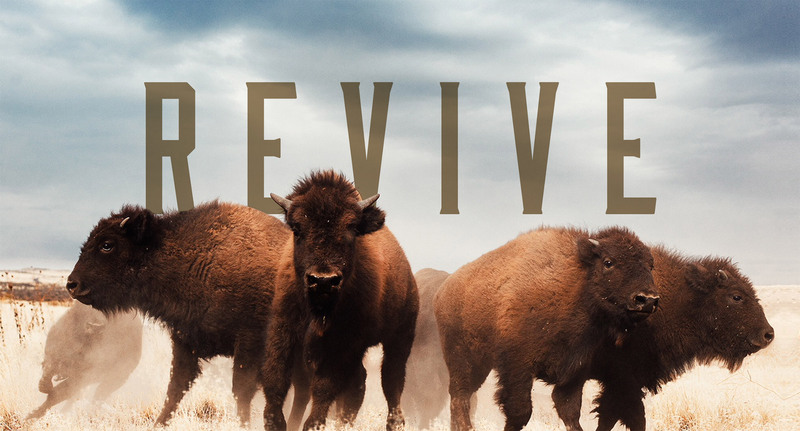 Through applying the principles of conservation learned from countless hours spent in the field and an insatiable craving for new knowledge, Cody's mission is simple - bring back the bison, feed the soil and share this bounty of nutrition with engaged humans who want to make this world a better place. 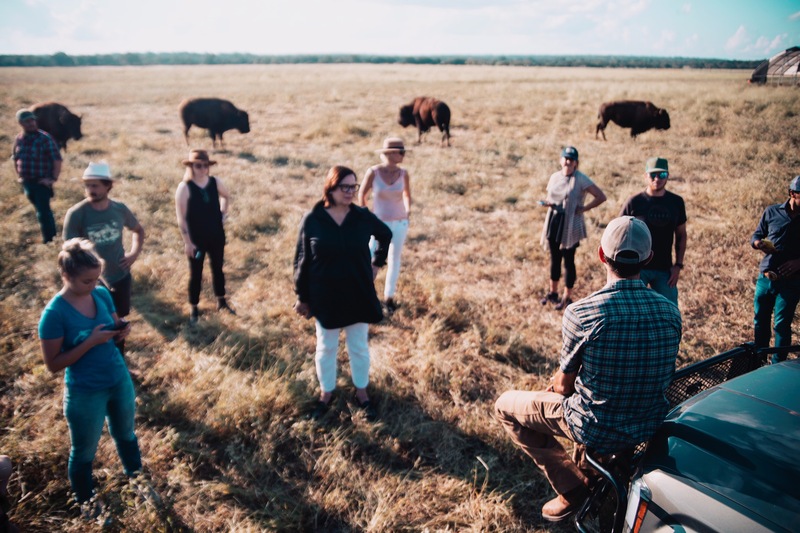 The ROAM Ranch Public Tour is a memorable experience geared to connecting consumers with the meat they eat and the land on which it was raised. Attendees will recieve an introduction to regenerative agriculture and spend time with our herd of bison, chickens, honey bees, and livestock guardian dogs. Registration required. Join us for a very special farm to table dinner which will focus on highliting menu items that are regeneratively sourced! 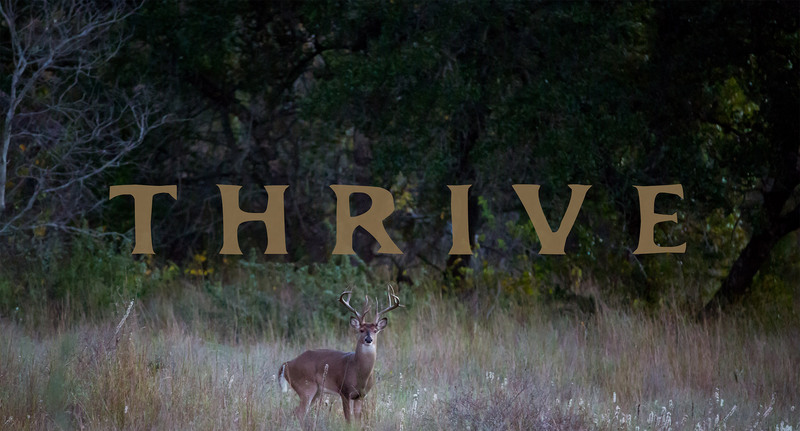 In addition to bison, axis deer, chicken, and eggs coming off ROAM Ranch, we will be highliting other Central Texas regenerative ranchers who are fueling a food revolution to heal our planet. ROAM Ranch is hosting the most epic trail race in all of Texas! 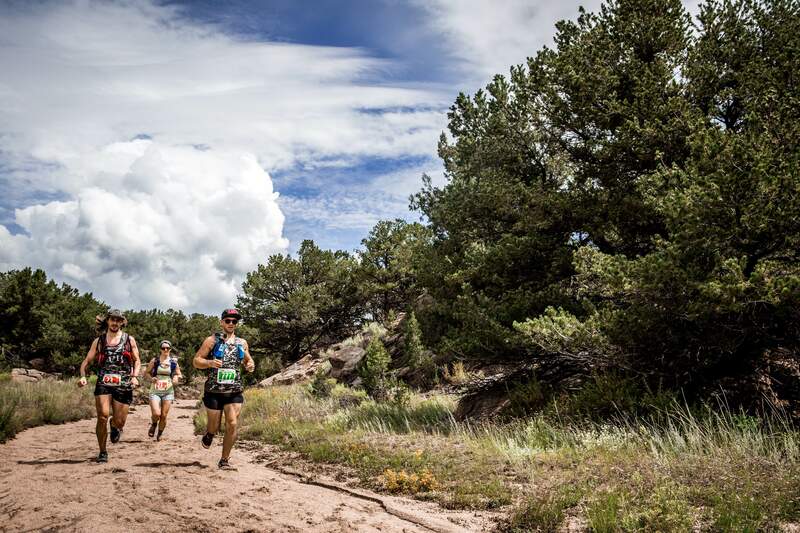 The Stampede will offer incredible scenery, challenging terrain, and a post race meal sourced directly from our ranch. A part of the Rogue Trail Series, the first annual ROAM Ranch Stampede will consist of a 10k, 30k, and kids fun run! Register today. The months of April through May mark the most exciting time of year at ROAM Ranch! 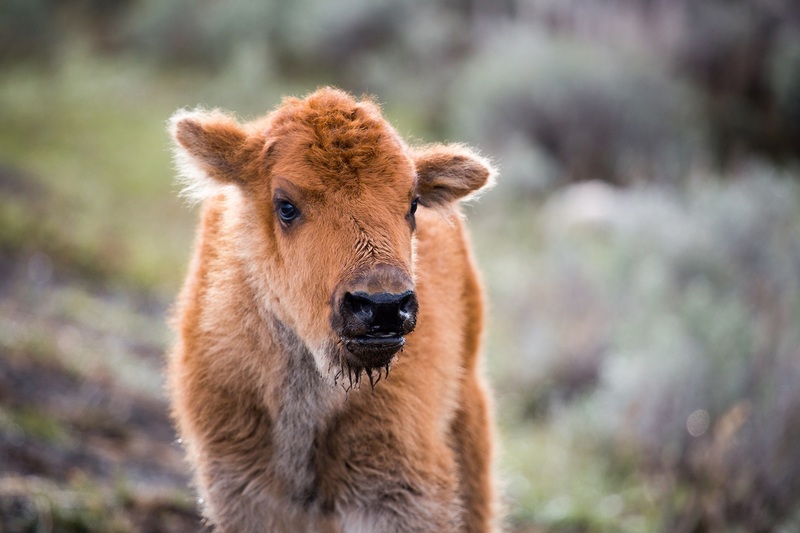 During this period our bison will introduce up to 50 brand new calves into our growing herd. This once a year tour is created to celebrate our 2019 babies and and give them a warm welcome to Fredericksburg Texas. The May ROAM Ranch Public Tour is a memorable experience geared to connecting consumers with the meat they eat and the land on which it was raised. Attendees will recieve an introduction to regenerative agriculture and spend time with our herd of bison (plus their brand new calves! ), chickens, turkeys and livestock guardian dogs. Registration required. 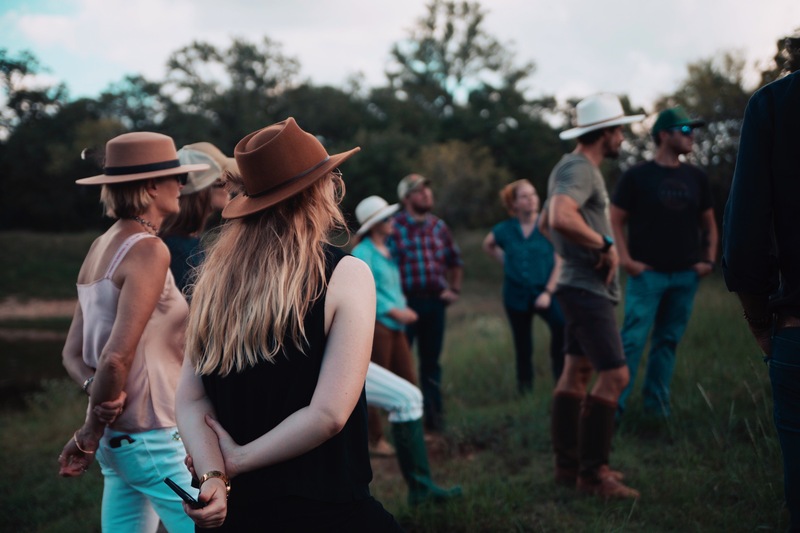 The ROAM Ranch Summer Tour is a memorable experience geared to connecting consumers with the meat they eat and the land on which it was raised. Attendees will recieve an introduction to regenerative agriculture and spend time with our herd of bison, chickens, honey bees, and livestock guardian dogs. Registration required. Join us for our second annual turkey field harvest tradition! 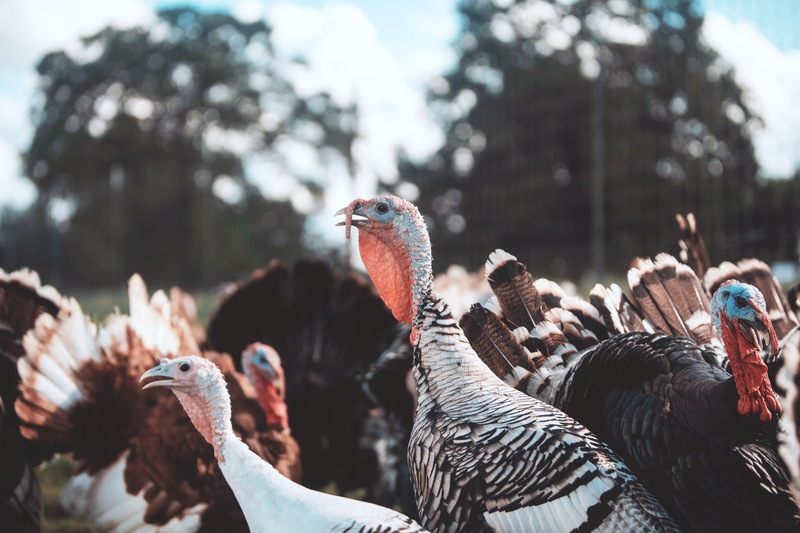 Alongside your family and friends, attendees will begin the day with a living turkey and learn how to harvest, defeather, and eviscerate their very own fresh Thanksgiving bird with respect and honor. All turkeys are non-gmo, pasture raised, and heritage breed. Through a mutually symbiotic relationship dating back hundreds of millennia, the health of our grasslands and the health of ruminate animals are deeply interconnected. Through fertilization, soil aeration, and proper grazing, large herds of free roaming bison and elk were the architects of North Americas most fertile lands. At ROAM Ranch, we focus on restoring ecological health by focusing on soil. Through monitoring key soil health indicators such as organic matter, carbon concentration, water permeability, and a handful of other biological markers, ROAM Ranch is able to track and document ecological restoration over time! We believe that when properly managed, animal impact has the ability to create a net positive return on the planet by sequestering carbon from the atmosphere while building topsoil and producing nourishing food. We are determined to prove that properly managed animals are a key tool in regenerative agriculture. 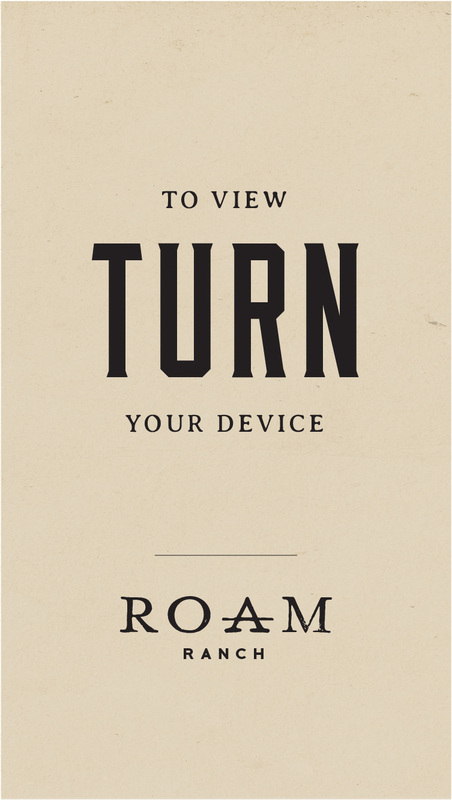 At ROAM Ranch we strive to produce the most nutrient rich and "beyond sustainable" meat on the planet. 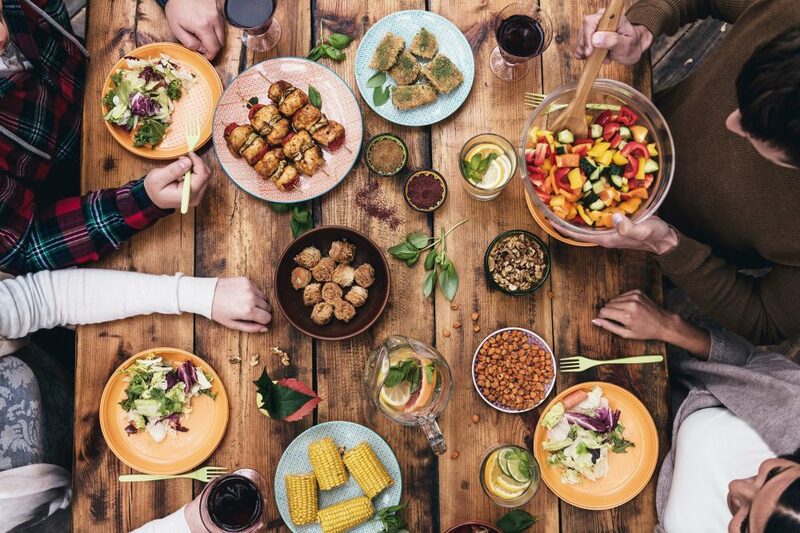 By creating an environment in which animals are allowed to express their natural behaviors as well as consume diets consistent with their evolutionary biology, our meat is bold, rich in flavor, and satiating. We take tremendous pride in utilizing a "nose to tail" approach during harvesting and butchery. As a result we are able to minimize waste, produce nourishing food, and best honor the life of the animal. Nothing makes us more proud than sharing our nutrient rich grass-fed and pasture-raised meat with consumers. Remember, your spending dollars cast a vote for which agricultural system you wish to support. If you value animal welfare, regenerative agriculture, and nutrient dense animal protein, visit our online store and experience the unique flavor of ROAM Ranch meats!